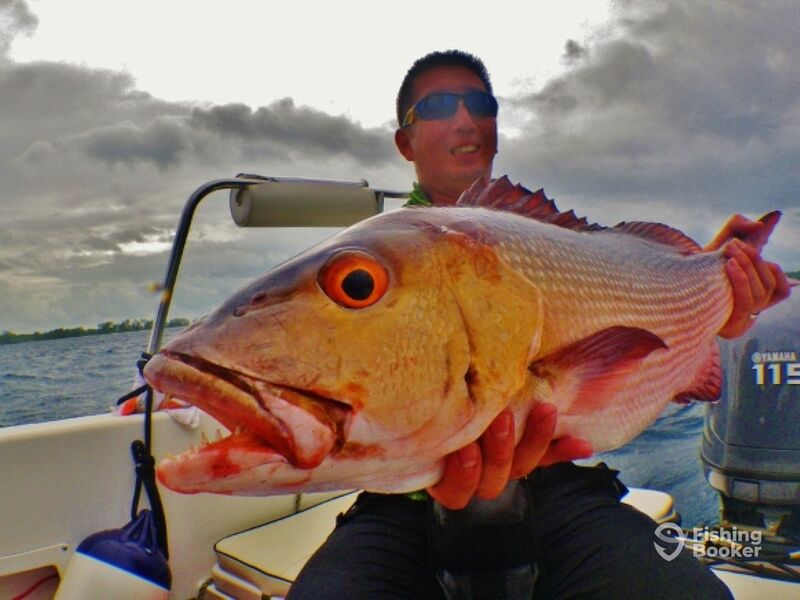 If you want some great nearshore fishing, you need to book a trip with Island Seed Ltd today. With an incredible backdrop, the scenery on land and these pristine waters will leave you mesmerized – make sure you have your camera ready! Captain Gordon and Captain Erik began Island Seed Ltd together. They have long been friends and decided this was the next logical step in their fishing journey. Hop on board the SRX, a 21’ Yamaha boat. This vessel can have you and 1 fishing friend on board fishing. You’ll have a great day heading offshore together. With a 115 HP Yamaha engine, you’ll be on the fish in no time. The fishfinder will help you stay on top of the fish too. 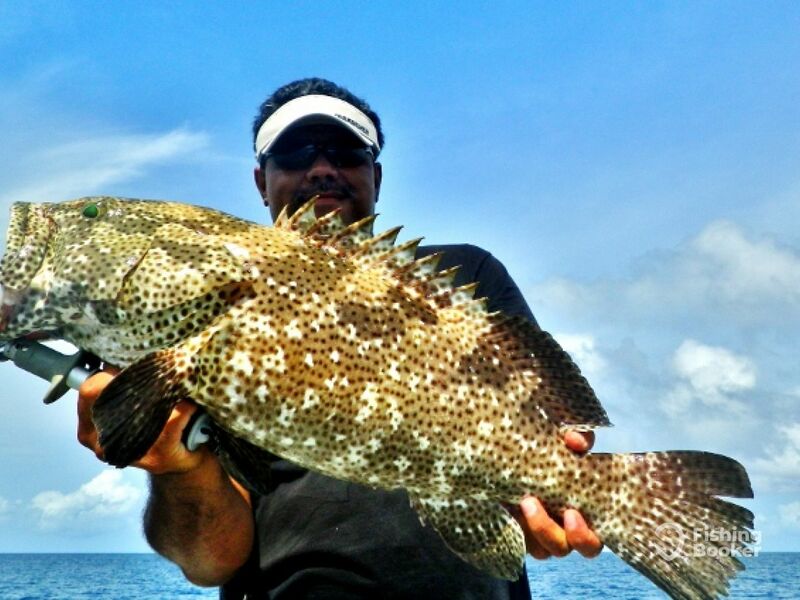 The fish you’ll be targeting are Gag Grouper and Giant Trevally. These are great fish to target near the shore. The rods and reels for the day can be rented from the captain. Heavy tackle is $80 and light tackle $50. Please note, Palau has been declared a World Heritage site and fishing permits are now mandatory for all. These can be paid directly to the rangers in Palau – the captain provides free transportation to the ‘Ranger Station’ before the trip. 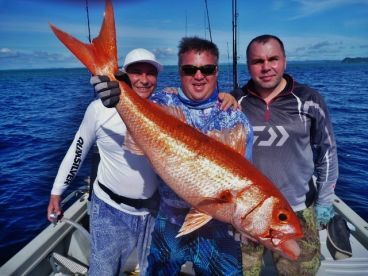 The price of this permit varies depending on what you are fishing for and where, but is usually around USD $70~$100 per person. Drinks will be provided on each trip, and are usually sodas and water. On the full day trip, a light lunch is provided. Please let the captain know beforehand if you would like to snorkel and he will organize this for you. 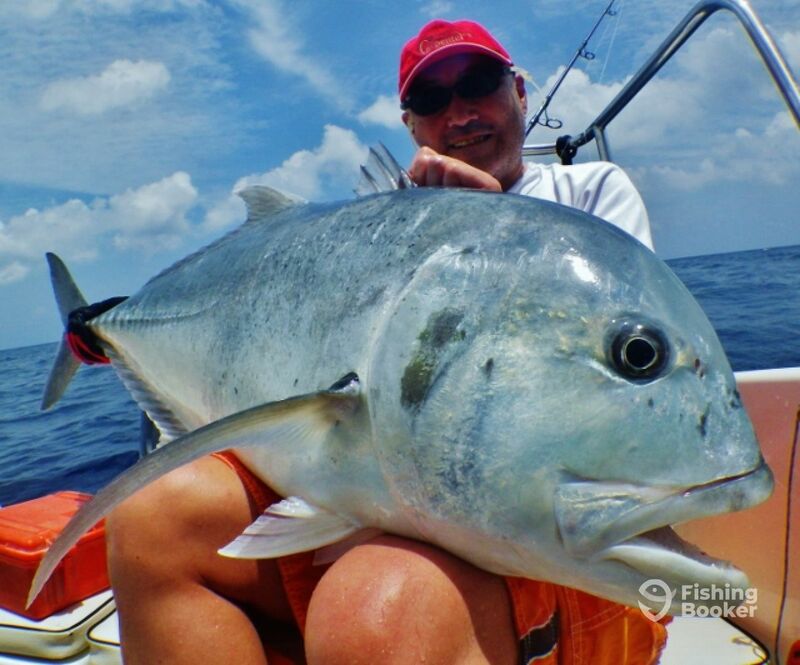 Book now for an unforgettable adventure with Island Seed Ltd. Capt. Gordon and Capt. Erik look forward to welcoming you on board! 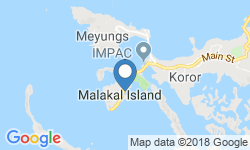 This 8 hour trip will see you jigging and popping for Grouper and Giant Trevally. Soft drinks and water are provided. Rods and reels need to be rented on the day, and an island permit purchased. 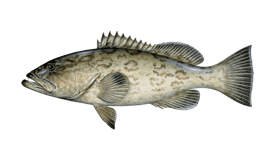 Spend 4 hours jigging and popping for Grouper and Giant Trevally. You can rent all fishing gear on the day, but will need to buy an island permit beforehand. Drinks are included on the boat. 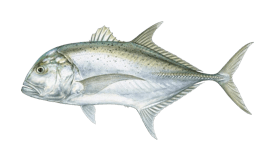 Go jigging and popping for Grouper and Giant Trevally. On this trip, you can rent top quality rods and reels on the day. You'll need to purchase an island permit before the trip. Water and soda are included. Трансфер из отелей или пристаней в Корор доступен и включен в стоимость. 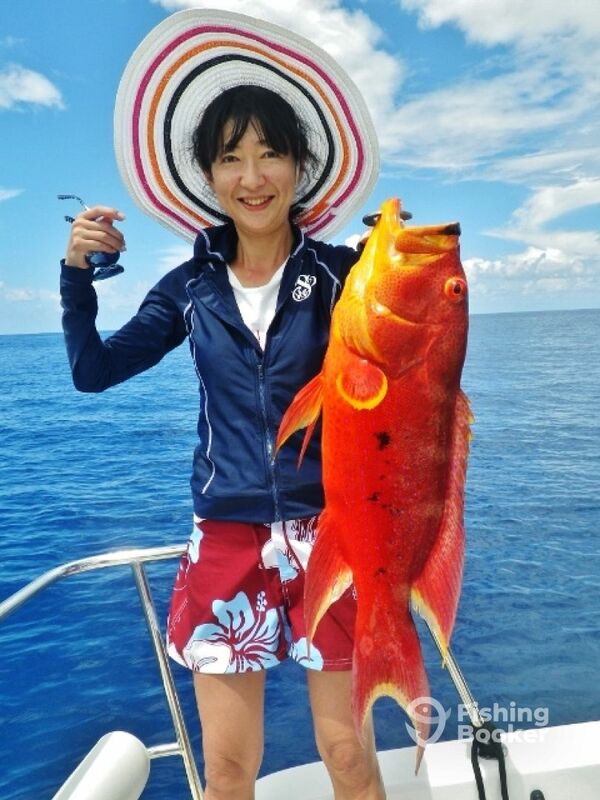 No fish no life! I (Erik) was born in Louisiana U.S. and moved to Palau when I was 12 years old. Fishing has always been a part of my life. From Largemouth Bass and Catfish to Groupers and Giant Trevally, I’ve done a lot of different types of fishing and learned many trades along the way. I was so curious about fish that I started scuba diving just to watch fish and to see where they hanging out and when is the right feeding tides and mating season too! Now I have over 7000 dives in Palau. I'm also fluent in Japanese. Capt. Gordon, my good friend and the other captain in this business, has been driving boats and fishing most of his life in Palau, Guam, and in Japan – more than half of those years we worked together. He knows the reef’s in Palau like the back of his hand. He is no doubt one of the best captains in Palau. Combining our skills and experience of 20 years both on the water and under it, we will put you on the fish!